In her debut work, author Anna Razdolsky tells the story of a young girl who wants to perform with her mom during a surprise party she's throwing for her older brother. Mom doesn't want to do the performance because she doesn't like her smile and doesn't like to do anything that draws attention to it. After a trip to the dentist, Mom has a choice to make: Will she take a fast approach to a more beautiful smile, or will she opt for a solution that will take a little longer, but will keep her teeth and gums healthy for years to come? 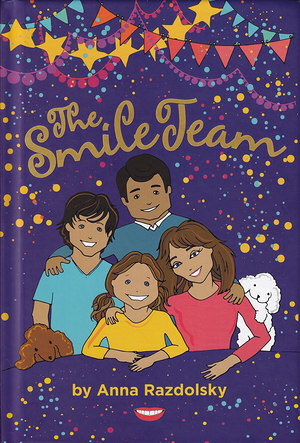 "The Smile Team" shows how teamwork is the best solution for solving a variety of problems. It also promotes the idea that sometimes the best results take thought, research and a team approach. This book goes beyond Mom's quest for a pretty smile and explores how children at a young age can learn organizational and leadership skills, too.